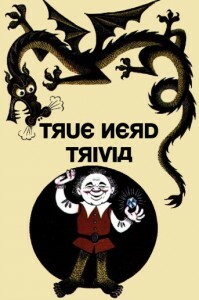 It’s the end of 2012, and what better way to show out the year than with a True Nerd Trivia EXTRAVAGANZA? Join us for a night of nerdy trivia and fun prizes and surprises! In the spirit of the holidays, this month’s event will be FREE! Sinister Six took home the pie last month…who will be the last champions of 2012?